Rob and Stev3 hit the Capital City Comic Convention in Victoria, BC. We run down some of the highlights for us as well as Rob’s very first 501st troop! 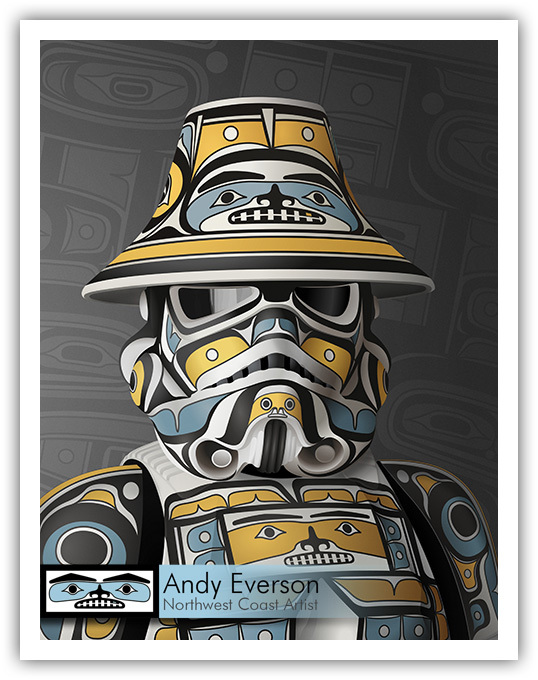 We also have a great chat with local indigenous artist and fellow 501st Outer Rim Garrison member Andy Everson who discusses his inspiration behind his Star Wars/Indigenous art.